A new company with a young go-getter at the helm is what Salina Septic Service is all about. 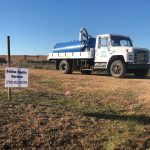 Located in Salina, Kansas this company, formerly Fuller’s Septic Service, is on the rise after being purchased by the Leister family in 2016. With Cole Leister running the company now with his bright attitude and quick learning savvy, it’s poised to be a big player in the septic industry. Let’s learn a little bit more about this newer company from Cole himself in this interview. Can you tell us a little bit about your personal background and how you got into the septic business regarding your introduction into this industry? Well, I’m only 20-years-old, and this all started a little over a year ago in 2016. I was going to college at the time, and my grandma and my dad purchased the business initially. I was coming back to college three times a week trying to help out, so eventually, it got to the point where I was doing more running the business than actually going to school. My grandma sold me her shares so my dad and I own the business together. He’s a silent partner, but does help out on occasion. What does your business model look like and how is your company structured in terms of services, equipment, and employee base? We’re an LLC, that seems to work the best for us. We have three full-time employees. Our main office location and then a separate yard to hold all of our equipment. We offer portable restrooms as well as part of our services. 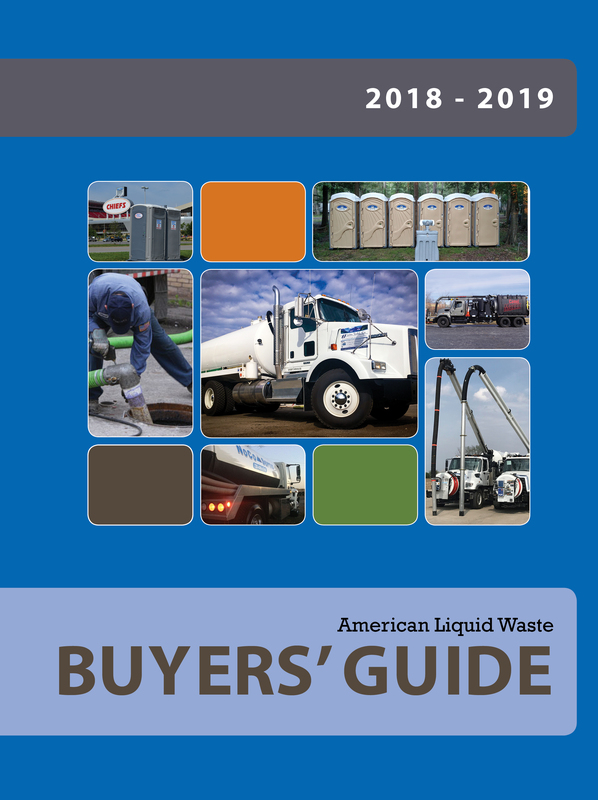 How did you decide on what types of trucks and equipment to invest in? 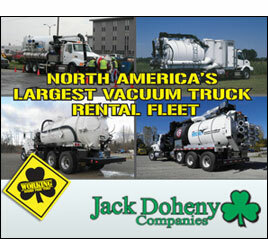 We currently have five trucks in our fleet, three portable restroom trucks, and two septic tanks. When we bought the company, it had some very old equipment and since September of last year, we have updated a lot. Over 150 new restroom units, two new trucks that are bigger and meet our needs better. We are waiting to upgrade the septic trucks. All the upgrading we’ve done is on the toilet side so the septic is next on the list for making serious improvements. Can you list the different services you offer? We offer mainly septic tank pumping and repair, grease trap pumping, and portable restroom setup and maintenance. Which service do you schedule most often for your customers? 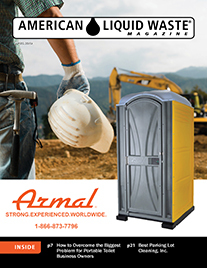 We currently have a 100 restrooms out in the field that we rent and that goes into a 100-mile radius and we service anywhere from 14-45 per day. The routes go on four days a week, so that’s 125 we service on those restrooms per week. Day to day, I would say septic is 25 percent. Revenue-wise septic is about 40 percent and the restrooms are about 60 percent. What are some of the distinguishing features and services of your company that are unique to you and allow you even as a newer company to be successful? Number one, we found that service and reputation is key. It’s the quality of our service, how clean we are, and the extra mile on the septic side in the education of the customer in their systems, how it works, and giving them tips for maintaining and care. I have a blog on our website that’s very helpful to refer customers to. We also have a great brochure that we give out to every customer that just helps them understand a little bit more and lets them take better care of their systems. How did you arrive at creating this image or identity for your company? Other than upgrading all of our products and keeping our restrooms uniform because the old company had different styles and units that didn’t look right. We kept their phone number which helped to carry over some business. Plus, we’ve landed a few bigger events and we do advertising on local radio and news. Our social media pages, especially Facebook, has helped to get the word out. Other than that it’s a lot of word of mouth and quality service. Neighbors talk to neighbors and that helps get more business. Challenges right now are keeping trucks not broken down has been difficult especially with running some of the older equipment. Growth-wise since we don’t have records from the previous company, it’s hard to tell exactly. We’re growing, but it’s better this year than last. More construction jobs and keeping our name out there has kept people calling. How do you boost efficiency in your jobs and your workers and, similarly, boost morale for your employees? Initially, it was a little bit of a struggle, but we’ve grown to like and accept each other. I have quality guys that have great experience so they solve tons of problems based on their experience, since I haven’t been in the business as long as they have. I don’t have to do a whole lot because they are good on their own. How many clients would you say you serviced or pumped per month? Who are some of your bigger clients? We have 100 restrooms, and 60 invoices for construction clients. What are the most challenging aspects of your business and industry? Specifically for us, expansion and the disposal side of things. Our wastewater treatment plant only accepts water waste, and we want to get into grease trap work but there isn’t anywhere to dump it locally. Regulations and government are always changing things from a business side of things. Customers are always challenging but we try to provide the best service and product for the price, and we want repeat business so that’s a challenge that keeps me going. Anything else you’d like us to know about your company? We recently won a bid for the smoky Hill River Festival, which has 50-75,000 people in attendance. We’re growing and looking at ways to help provide more and better service to our customers. Other than that we’re working hard.